Another foray into home decor and I realise I have much to learn. I thought a wooden wreath from Marshalls would be cool and interchangeable for some seasons. Clip on spiders, pumpkins and some ribbon should do it. Bought wood wreath for $24. Yes! Bought spiders and pumpkins for about $10. Put up wreath with attached sticker and plastic price tag. It crashed and broke 3 times. Bought black ribbon $3. Watched free YouTube video on how to tie it. Used cilantro wire to hold it. Attempted to “clip” spiders and pumpkins on. Had to use picture wire. $3. 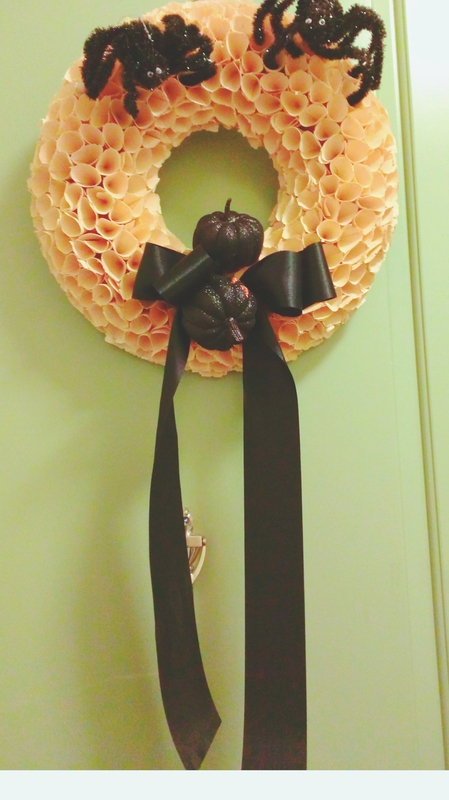 So, my “inexpensive” wreath cost $43. I’m not so impressed with that. Let’s see how the Thanksgiving/Harvest one goes. You may find me on the clearance aisle of “At Home” this week. ← It’s a Minefield Out There!